The “M-Tel Masters” chess tournament 2006 was held in Sofia in May this year. Indian Grand Master Vishwanathan Anand took part in it along with five others, including World Champion the Bulgarian Vesselin Topalov. 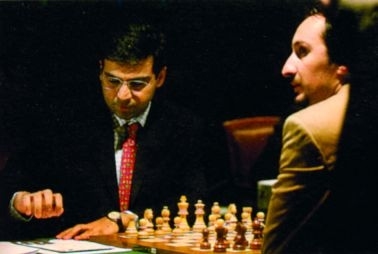 This was the third time both meet on Bulgarian soil: Anand took part in tournaments in May 2005 in Sofia and had also come in February 2004 for a match with Topalov. Indian ambassador H.E. Dinkar Khullar was a special invitee for the tournament on May 10th, 2006. The Bulgarian Yoga Center, with Head Venzeslav Evtimov, had its 17th Annual Seminar at the Academy of Sports in Sofia on June 24th 2006. Adherents of yoga from all over the country participated in the Seminar. The Ambassdor of India H.E. Dinkar Khullar honoured the event with his personal presence. Representatives of the Governing Body of Friends of India Club also attended the Seminar and greeted the participants.